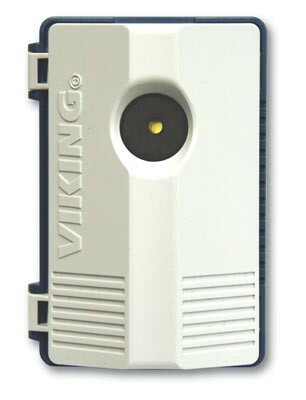 The Viking Phone Ringer LPR-1 operates on any analog line or analog phone extension.The pleasant chime volume can be adjusted to a loud 92 dB SPL @ 1 meter. The LPR-1 comes with a modular RJ-11 jack, a volume control and a 7 foot modular cord for easy installation. Since the LPR-1 is line powered no power supply is required.